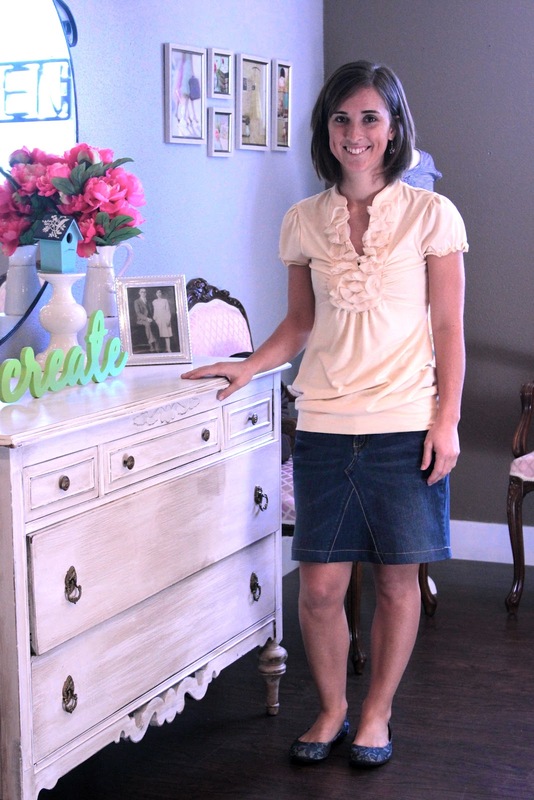 Have you every wanted a jean skirt but couldn't find one? 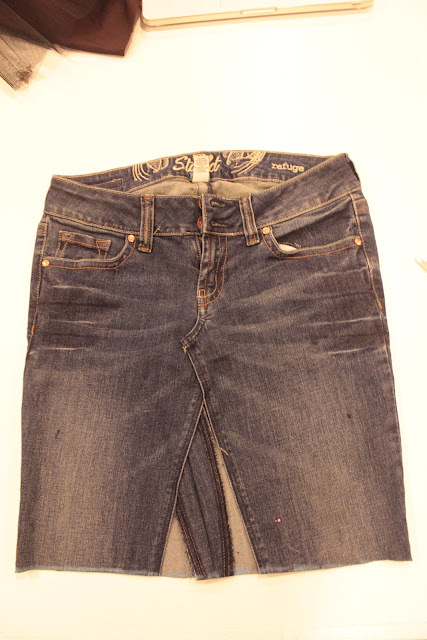 Or, do you have a pair of jeans you love but the pant legs or hem is worn out? 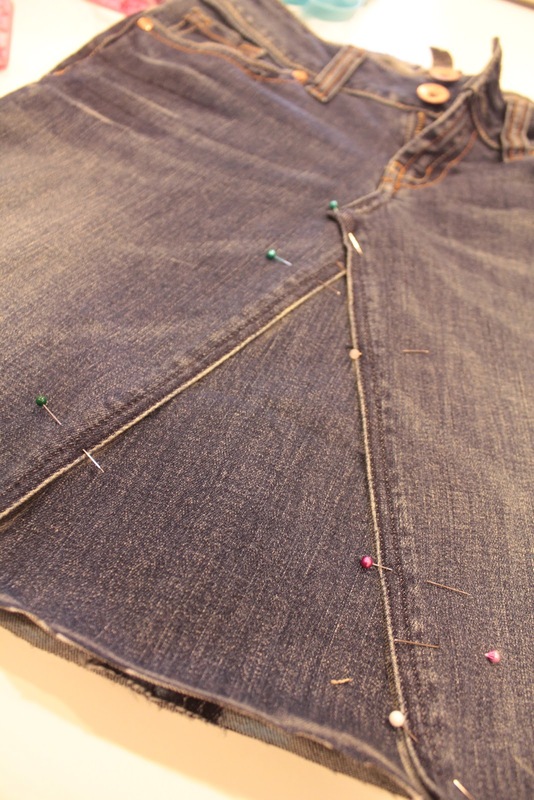 Today I will give a simple tutorial on how to make your jeans into a skirt. First start by ripping out the inseam of your pants. On the back rip to right below the belt loop and on the front rip to right below where the zipper ends. 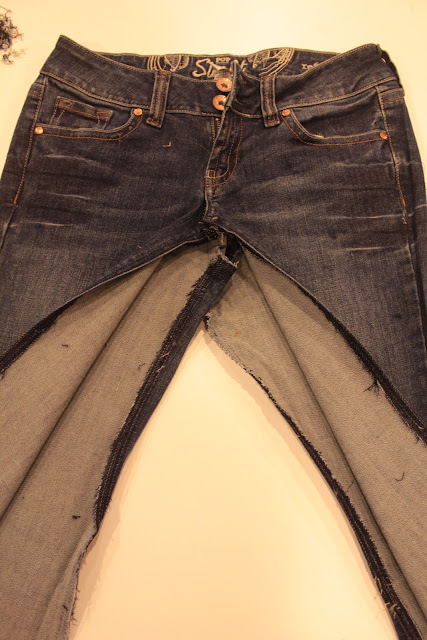 Turn your pants inside out and draw a straight line starting right above where you finished ripping out. Mark it down to where the straight line meets your original seam. 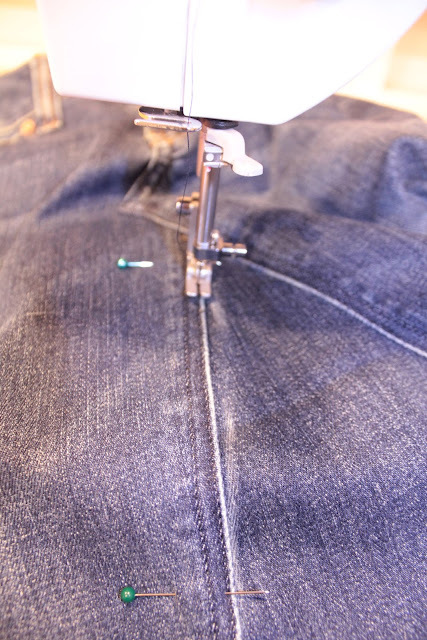 Sew right along your chalk line then trim your seam. You can also serge it. 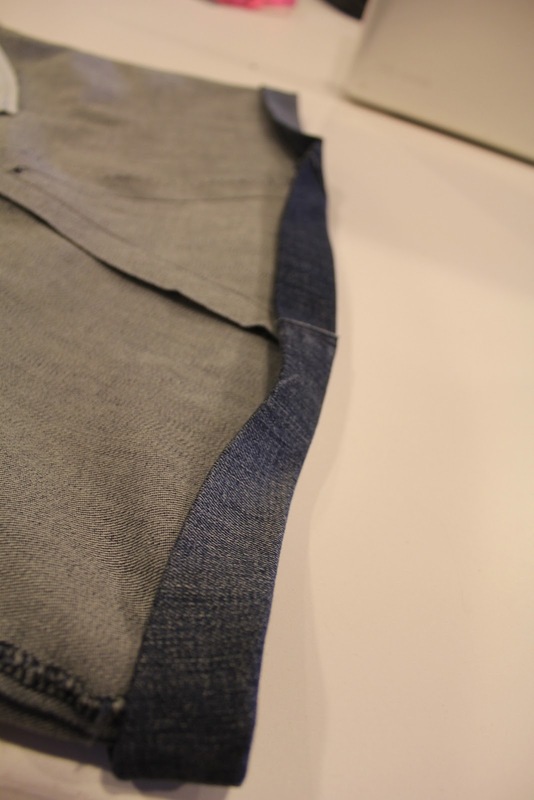 Find the length you want and chalk a line the trim your pants. Now they should look like this. 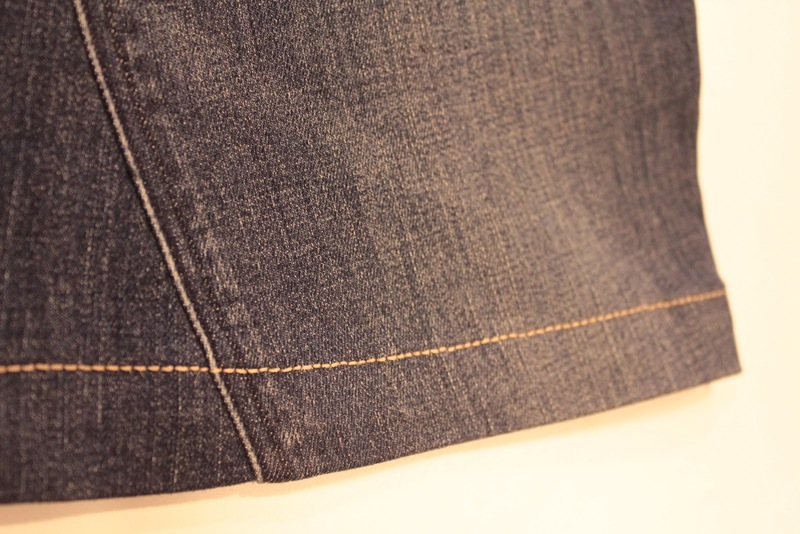 Take the extra jean from cutting the length and put it under your front opening. When you have it placed chalk along the opening. Now you can cut the triangle shape it made. Be sure to cut 1/2" out from the chalk line so you have a seam allowance. Place your triangle piece back under your front opening and pin it in place. 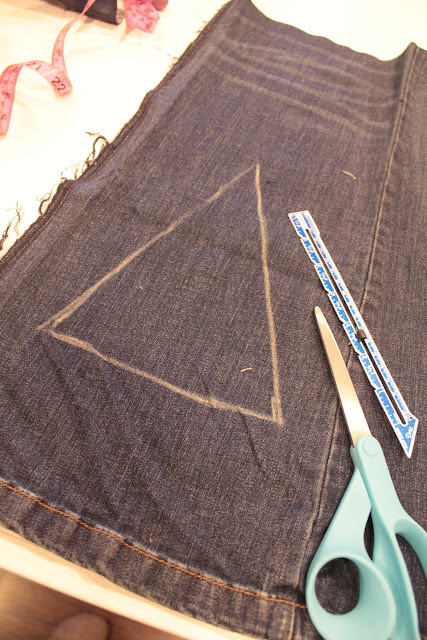 Top stitch down the triangle shape. Here's how it should look now. I used a top stitching thread which is thicker than regular thread. It gives it a nice look. Now top stitch your front "v" opening with your decorative top stitching thread. Now you are finished. Here's how mine looks! Very Cute and you didn't even spend a dime! excellant...my daughter will love this! 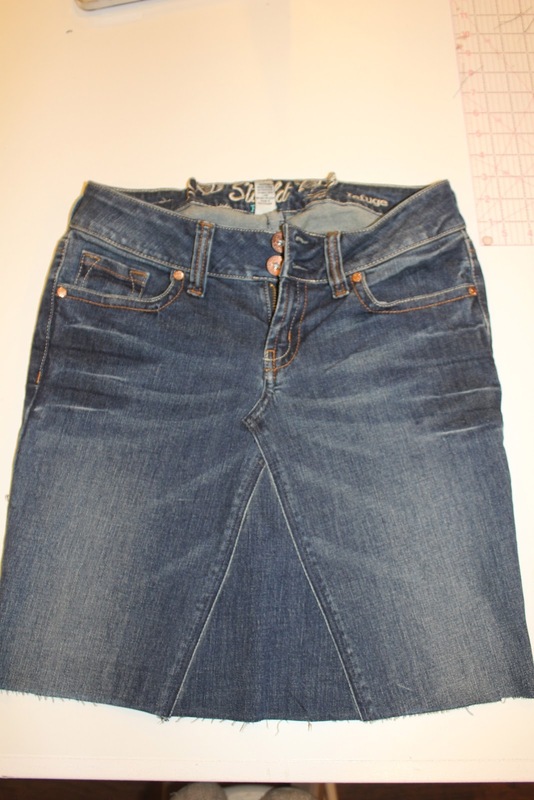 I'm so embarrassed that in the same week that I've been trying to buy a denim skirt, I also cleared out a load of jeans (nothing wrong with them other than the fact they are bootcut and I do skinny now!) and I didn't even THINK of doing this. I don't know where my brain is!! Will definitely do it now though! We did it by sewing it in a straight line down from the waist to the leg, one of our steps show it...does that make sense? I have just tried this and mucked it up because the folded seam at the top of the back of the skirt is so difficult to fit under the sewing machine foot. I would say for anyone who wants an easier job and isn't fussed about the look of the back to repeat the front method on the back. It must vary between jeans, but I really struggled with the thickness of fabric. To help you with that...you have to rip out the top stitching on the back further up than the main stitching... that way you can flow your seam nicely from the original one to the one you are creating...does this make sense? So cute! I can't wait to try it! 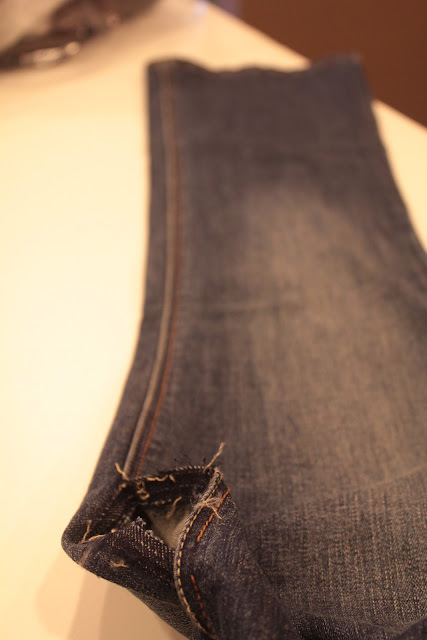 Hi I was just wondering what you do to your hem to prevent fraying? Thanks for the share; I've pinned ya. Thank you for doing this tutorial. You're look so cute, i have to do this soon.